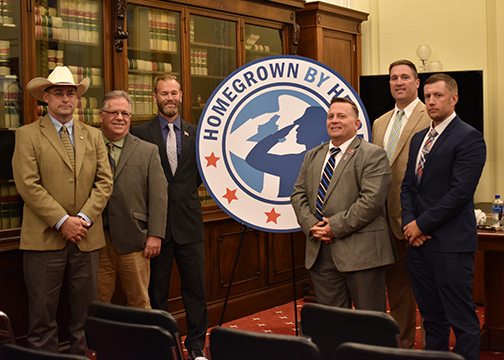 Farmer Veteran Coalition, supported by Farm Credit, unveiled a new Homegrown By Heroes logo July 11 during a special ceremony on Capitol Hill. 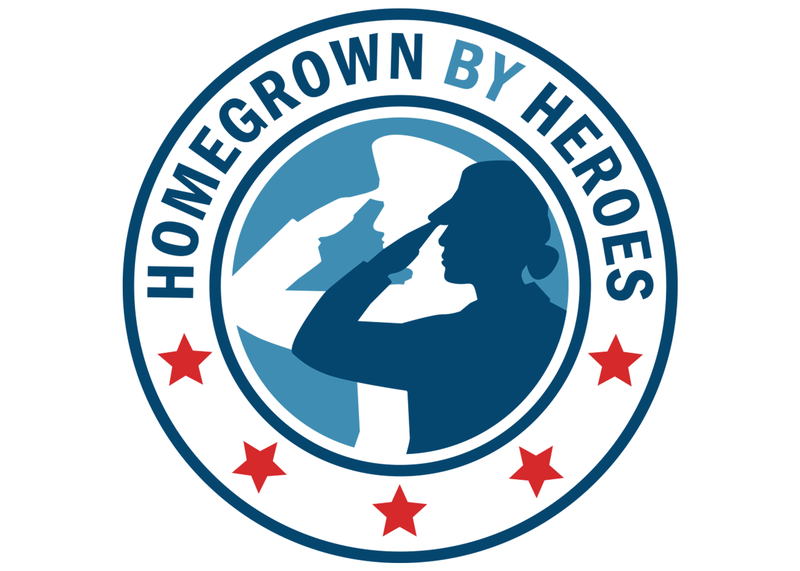 The new HBH logo, which was updated for the first time in the program’s history, features refreshed colors and, most notably, the inclusion of a female service member. 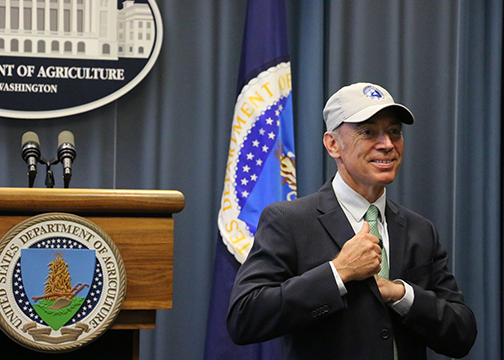 The new logo was revealed on the floor of the Senate Agriculture Committee hearing room in front of a crowd that included more than 30 farmer veterans who were in the Nation’s capital as part of a farmer veteran fly-in courtesy of Farm Credit. 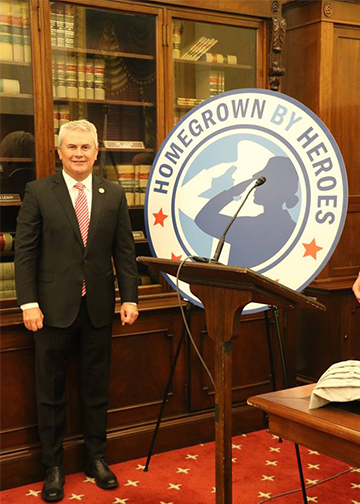 Also on hand for the unveiling was Kentucky Congressman James Comer. 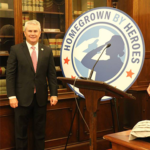 The Homegrown By Heroes label was established in his state in 2013 while serving as Agriculture Commissioner. 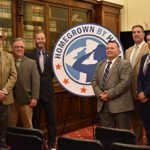 Farmer Veteran Coalition has been administering the Homegrown By Heroes label nationally since Veterans Day 2013. The HBH logo was updated in a way that maintains consistency with the original version of the logo. 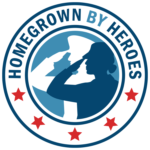 This allows farmer veterans who have already invested in marketing materials to continue displaying that version of the logo. While marketing materials featuring the new logo are not yet available, they should be in stock by mid- to late-August. 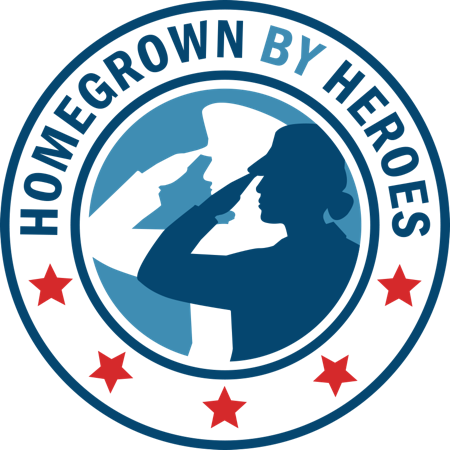 Currently certified Homegrown By Heroes producers will receive an email this week with links to download the new logo in various formats. 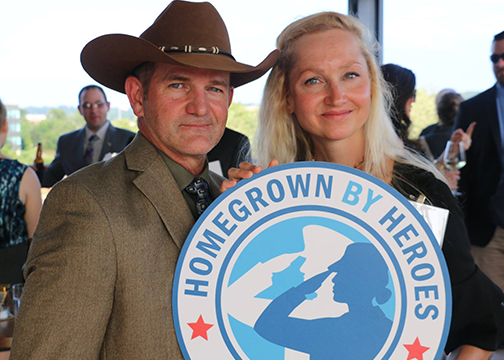 If you do not receive the email by Monday, July 23, please reach out to us via email at hbh@farmvetco.org or by phone at (530) 756-1395. 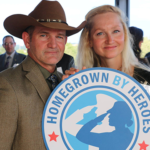 The Homegrown By Heroes label is the official farmer veteran branding program of America and serves to inform consumers that agricultural products displaying the logo were produced by U.S. military veterans. 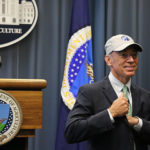 More than 1,350 veterans from all 50 states plus Puerto Rico are certified with the label. 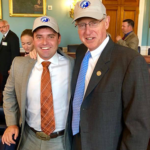 See more of our supporters. 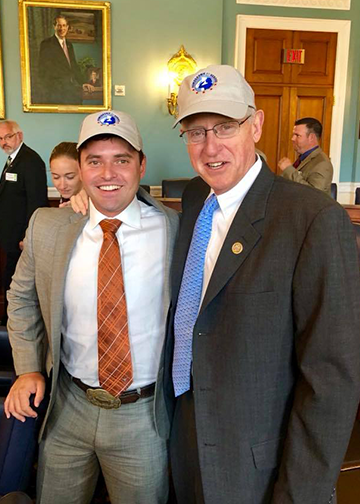 © 2019 Farmer Veteran Coalition, All rights reserved.